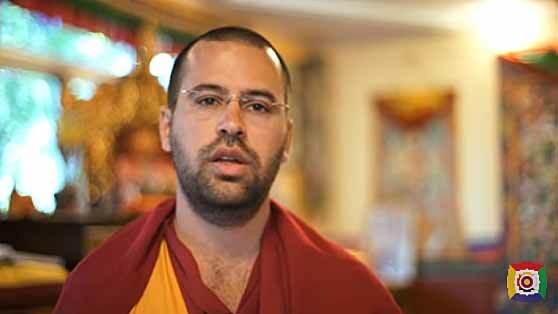 Frequently asked questions about Buddhism, answered by our Lamas. Many videos have subtitles in various languages. Do you have a question for one of our Lamas? Fill in this form, and maybe you will get the answer in a video! What are the causes of our suffering? How do you see the love in what you do? What is the importance of valuing and practicing love as a society? What’s the difference between love, attachment and desire? How is the cycle of reincarnation? Does sin exist in Buddhism? What is the concept and importance of vows? Does hell exist according to Buddhism? How can Buddhism benefit people’s daily lives? What are we seeking through Buddhism? How do you plan your future? How to transform day to day difficulties in learning? How to prepare for death? What is bliss and emptiness? Why are mantras not in Portuguese? Is it possible to reincarnate as an animal? How is Buddhism in the West? How did you get to know Buddhism? Are you the reincarnation of whom? Do you consider yourself enlightened? How to start practicing Buddhism? How is the wedding in Buddhism? How is the Baptism ceremony in Buddhism? What is a Yidam and how do we choose one? What is the difference between interdependence and karma? What is the difference between emptiness and interdependence? What is NgalSo Tantric Self-Healing Meditation? What does it mean to bring the result into the path? What is the difference between being unattached and not having interest? What does it mean to be of the nature of space? Selfish or altruistic, which is the best way? To accept is to submit? How to make life meaningful? How to be tolerant and not have hatred for an opinion opposite of ours? What does it mean to be Buddhist? How to live a loving relationship so that it is meaningful? What is the relative and absolute truth? How does praying for someone work? What is the importance of rituals in our lives? Can we practice Buddhism if we do not believe in reincarnation? If we make a negative action unconsciously; do we create bad karma? When can we say we have entered a spiritual path? 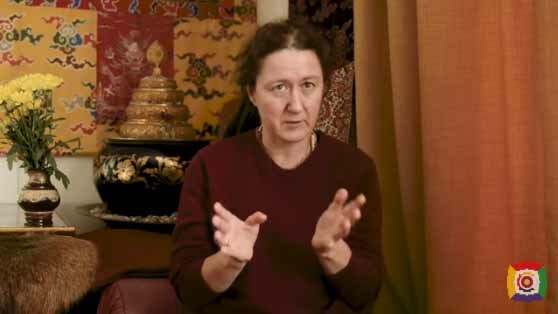 Why is death so important in Vajrayana Buddhism? What are the bodies of a Buddha? How did you meet Lama Gangchen Rinpoche? What are the channels, winds and drops? What is the importance of Tibetan language in the practice? How does Tibetan astrology work? How does Tibetan medicine work? The lay-out, texts and images on this website may exclusively be reproduced for purposes of NgalSo Ganden Nyengyu lineage-affiliated non-profit organizations such as NgalSo Self-Healing groups and NgalSo Dharma centers or for (non-commercial) personal Dharma practice and study.